The Apple Watch Series 4 is the most water-compatible Apple Watch yet and, for swimmers, that’s awesome. It’s fitness tracking features are some of the best available, and the software is simply outstanding. We recently found a great article at Cult of Mac that talks about how to use the Apple Watch to track and improve your swimming workouts. Let’s take a look! Know the length of the pool. Start your workout before you get wet. View your progress in the activity app. 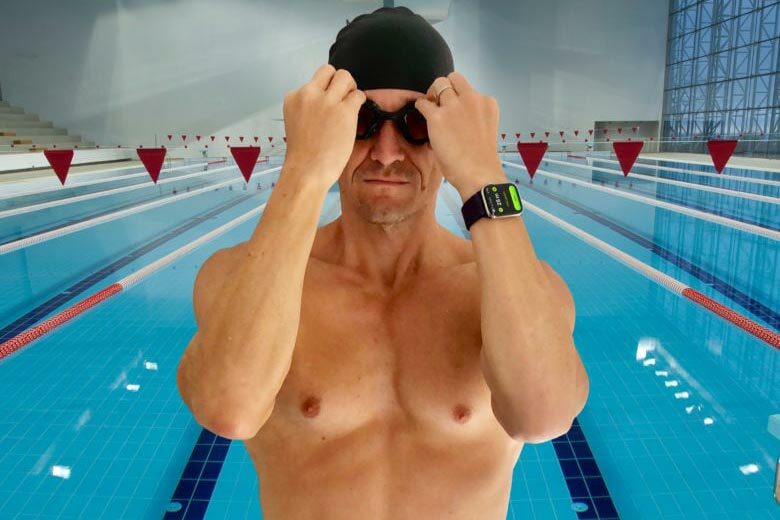 As every swimmer knows, swimming is a great way to keep one’s body–and mind–in shape, and it’s simply amazing that such a great piece of everyday tech like the Apple Watch can double as an effective swim trainer. Cult of Mac also has a great supplementary article called Top 10 Tips for Swimming With Apple Watch. Jump over to Cult of Mac’s full article for more details on How to start swimming with Apple Watch. Click here to get you and your swimmers the most comprehensive underwater-video coaching tool available. Your journey to video teaching begins now!